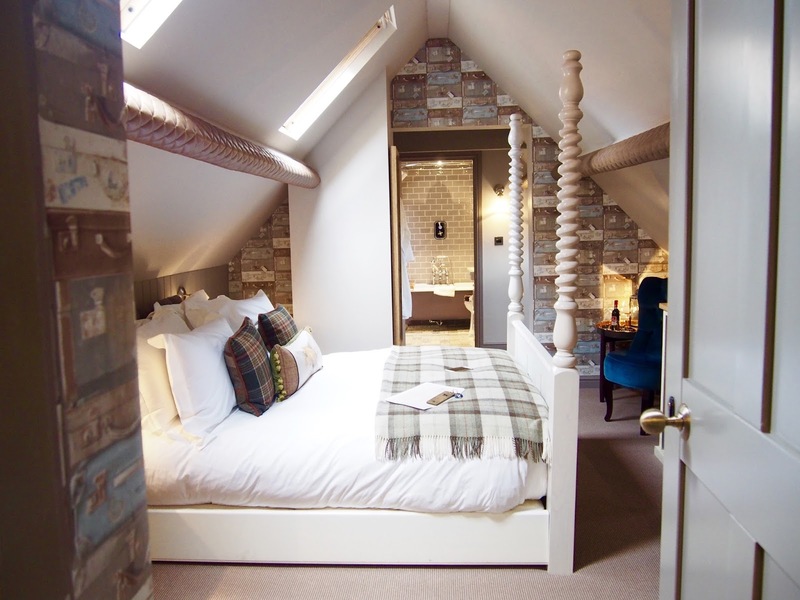 A Stay Near Scarborough - The Plough Scalby review & pictures. The Perfect Night Away from Home. 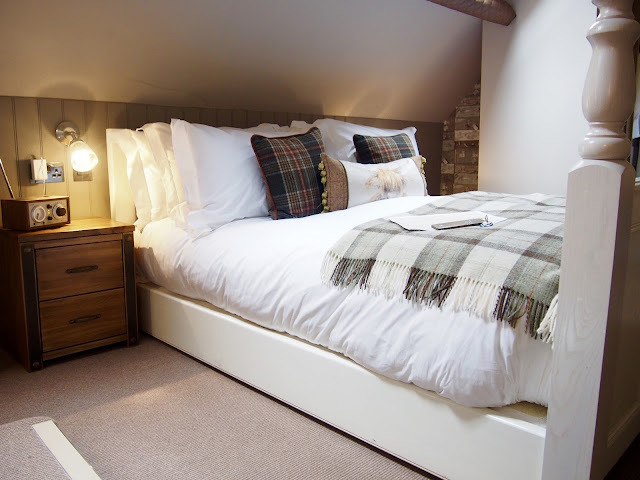 Looking for somewhere to stay near Scarborough? Then this is your place. The Plough is far from your normal village Pub. It prides itself on being of the highest quality, which is evident throughout the bar/restaurant and into the accommodation it offers above. A true drive to be a fantastic stay near Scarborough. Recently refurbished, you can clearly see the amount of thought and planning that has gone into The Plough. Non more so than with their accommodation. Boasting eight ensuite rooms, that although each different in shape, do carry a clean, modern, cottage feel decor throughout. They are, what the blogger in me could only describe as being totally ‘instagrammable’. I’m just going to leave this picture with you for a little while, just for you to take it in. Room 5 is the largest of the bedrooms and is located at the back of The Plough, within the roof space. Although for these pictures I opened the blinds to get some light in, the room had been left for us looking very romantic and inviting, with the blinds closed and just the lamp lights on and also the radio playing. The ambience of the room was amazing, perfect you could do and seeing that bath of dreams at the end of the room just made me confirm I was right with my choice of room. 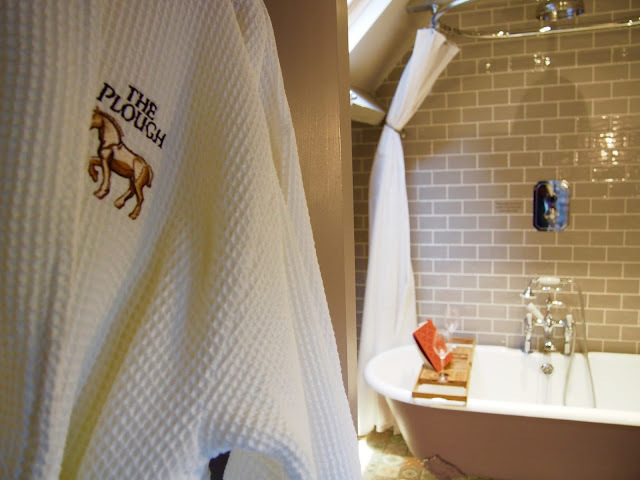 That is something I really liked about The Plough, that you were able to choose your room. Their website beautifully, clearly and easily outlines each individual room and it’s features, for you to choose your perfect match. Roll top bath with power shower. LED Smart TV with Blue-Ray Player, radio/alarm with complimentary wifi. Luxury bed linen, bathrobes, towels and quality bath products. Direct dial telephone and hairdryer. Hospitality tray Nespresso machine and fine teas. Complimentary filtered still and sparkling bottled water. As I’m sure you will both guess and appreciate, I chose this room for its amazing bath. I’m not going to lie. My first thought was “that’s so “instagrammable” and then obviously how romantic it would be to have a bath with the husband in it, sipping on our drinks. Once we had been escorted to our room and given a brief outline of the features we were left to our own devices. Looking around at our room is was hard to imagine the amount of time it had taken to envisage the decor and what to put where. A lot of time and effort has obviously been taken, plus a love of wanting to make the rooms feel both homey but luxurious, which they have most definitely succeeded with. The rooms tie in so well with the complete feel of the restaurant/business below. The price included breakfast. There was paperwork with the guest information pack to fill in in regards to the option available for breakfast, which I think we practically ticked all the boxes available and took them with us downstairs to the reception area ready for our evening meal, which I had booked as an extra. The breakfast was amazing and the staff, even at 8am were fantastic. We’ll definitely look at returning to The Plough in the future for a stay, it was a perfect great escape for a stay near Scarborough and beyond that, I had imagined from viewing their website. It Don't Matter If Your. That is a truly beautiful room. It's giving me all sorts of inspiration for home decor. 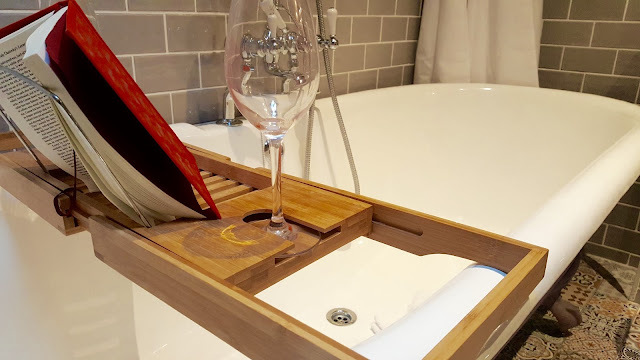 I used to have a roll top bath in my old house. Being so tall it was a real luxury. I quite fancy trying the plough for a meal, another place I've never been. I'm sure I have seen this place on booking.com and thought "WOW!" It looks amazing and your photography is just beautiful. That bedroom is stunning. I love the bathroom, it's exactly how my dream bathroom would be! Looks awesome! 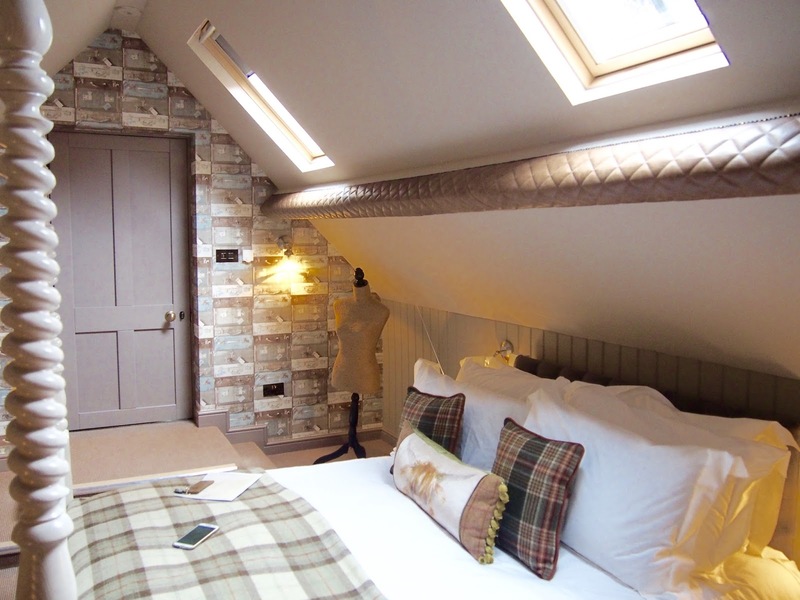 I loooove a big bath in hotels, always needed, the room is lovely in the roof space too, does make it feel very cozy! You cant beat a big roll top bath for a nice long soak!